Save More on Brother Toner Cartridges with TonerGreen | TonerGreen - Eco-Friendly Toners from the U.S.
TonerGreen.com is one of the leading eco-friendly printer supplies retailer that offers U.S. made remanufactured toner cartridges and remanufactured inkjet cartridges highly compatible to known printer brands like Brother printers. 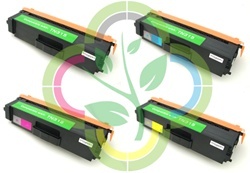 TonerGreen offers a wide selection of environment-friendly remanufactured Brother toner cartridges which are expertly built by professional technicians to meet the page yield and print-quality of OEM branded cartridges. And because we understand that you cannot neglect your need to print just because you're on a tight budget, we offer our Brother toner cartridges at the most affordable prices which are hard to find in the internet these days. For example, our eco-friendly Brother TN360 high-yield toner cartridge for Brother printers Brother HL-2140 and HL-2170w which only cost $20 wherein its OEM price would probably cost you $44.99, saving you $24.99. Another one is the Brother TN450 black toner cartridge compatible to printers Brother DCP7060D, DCP7065DN and HL2220, which you can get for only $26 compare to its OEM price of $62.99. 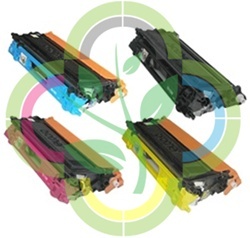 We also offer Brother toner cartridges Set that saves you more than half of their original OEM price like the Brother TN115 Set consisting of Brother toners TN115BK (black), TN115C (cyan), TN115Y (yellow) and TN115M (magenta) for printers Brother HL-4040CN, HL-4070CDW, DCP-9040CN and DCP-9045CDN, which is available for the low price of $95.99.Moreover, TonerGreen is driven by our steadfast commitment to consumer satisfaction. We deploy substantial resources in ensuring the durability of our Toner Cartridge Sets. Each Toner Cartridge Set comes with 2 Year warranty. Moreover, we assure you that using our Toner Cartridge Set will not void your printer warranty. At TonerGreen.com, quality isn't sacrificed over low cost and cutbacks. We make sure that our products can deliver superior performance on par with branded cartridges. Quality is strictly imposed every step of the remanufacturing process until our products are either picked up by customers or shipped to their address, providing our consumers with 100% satisfaction.